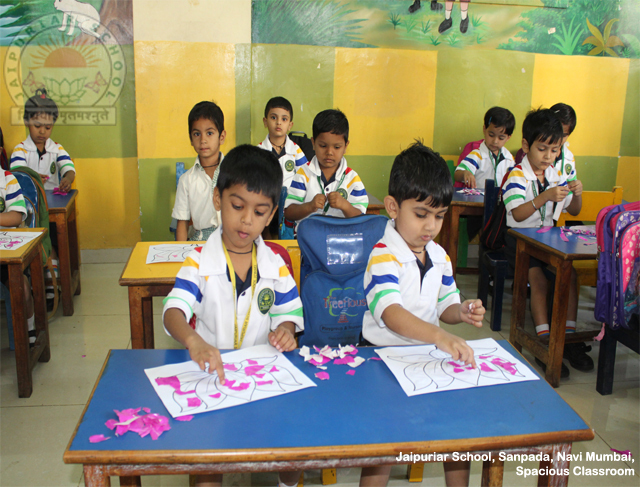 The spacious classrooms with sufficient natural light, provide a conducive environment for learning. 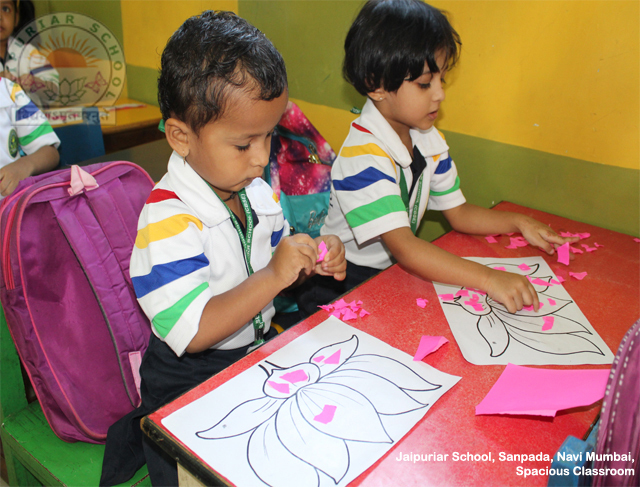 Every classroom has a smart board ,audio-visual facilitiy, display boards and age-appropriate furniture.To cope with the challenges of modern times, smart classrooms are introduced. Electronic Boards are installed in the classrooms and e-teaching with its audio and visual appeal is helpful in developing creative, constructive, competitive and confident students.